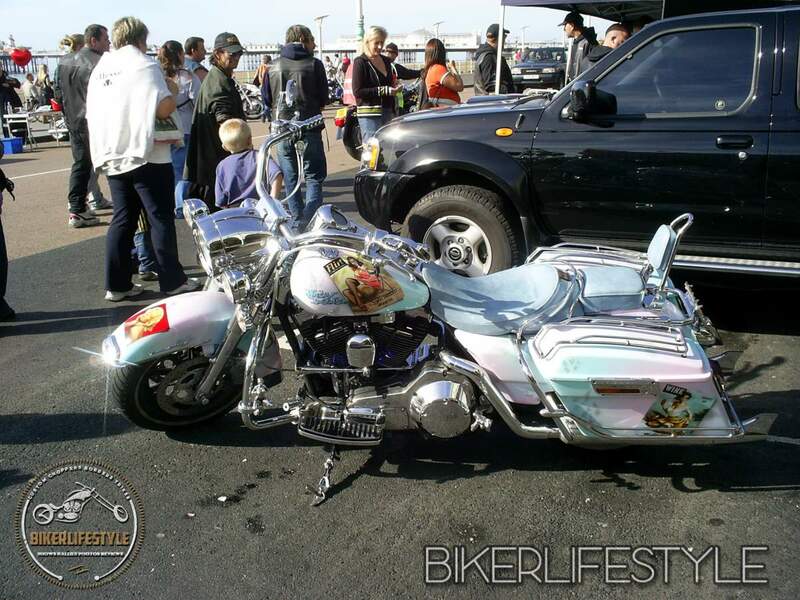 The bike is a 99 Roadking – one of the very first twin cams off the line but upgraded to a 1550cc from stock. It was originally orange (yuk) but I had it painted firstly by a guy called Steve Mahacsy at Pureart – which was a huge mistake. 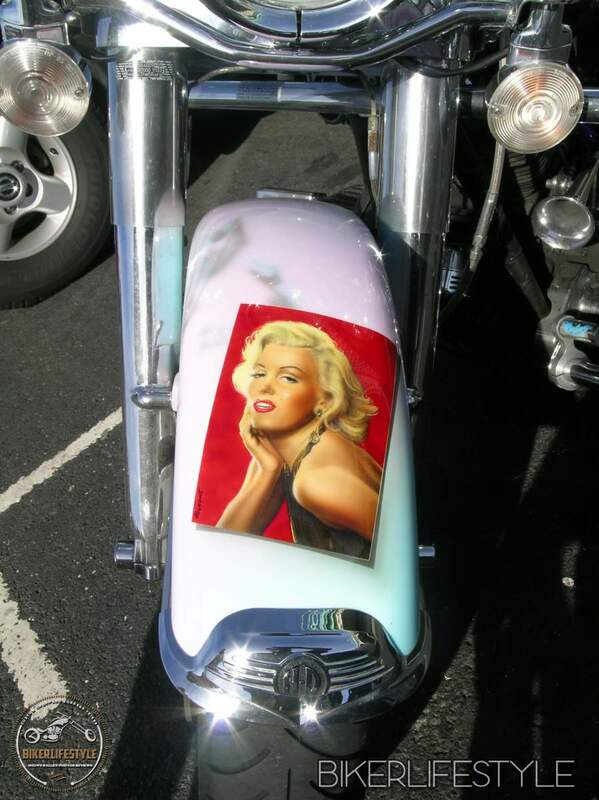 After much heartache about what he’d done to my beloved bike, I found a real artist after checking out custom work in Back Street Heroes mag – Ty Lawyer of Pageant paint. I spent a day or so with Ty working through my collection of 1950’s American pinup magazines. 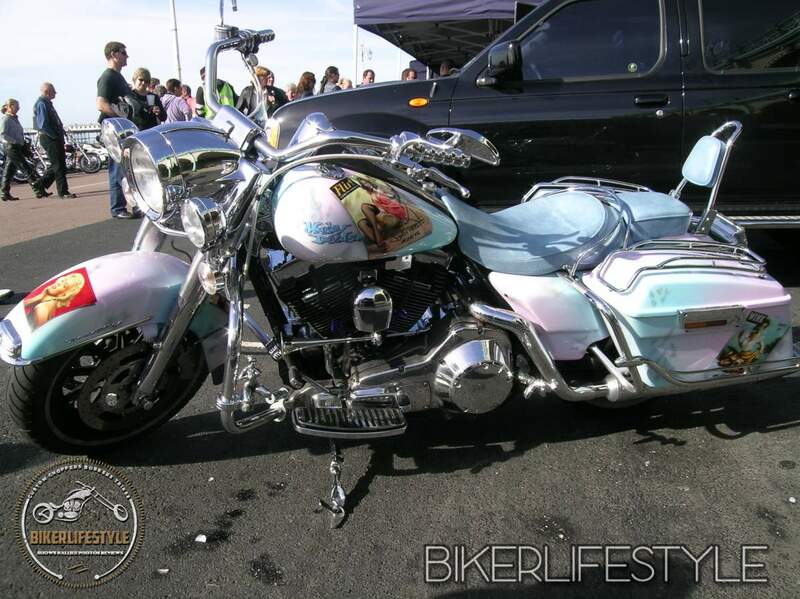 I wanted a 1950’s feel to it, without making ot obviously so.. the base colours were therefore pink and blue pastels – but because I love rock and roll, with musical noted ghosted into at different places. 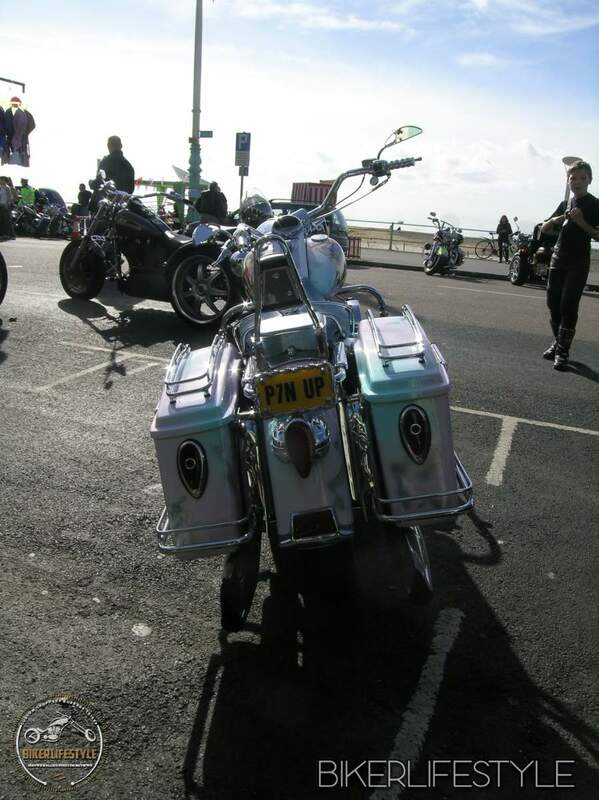 The number plate was bought a while back when it was in the horrible red and white phase… P7N UP (I also have P3N UP on my Glide). I removed the touring box and various bits n bobs to cut it down in size, and got Grizzleys to rework the lighting. Frenched the rear lights into the side boxes and through away the turn direction bars tp clean up the back end. 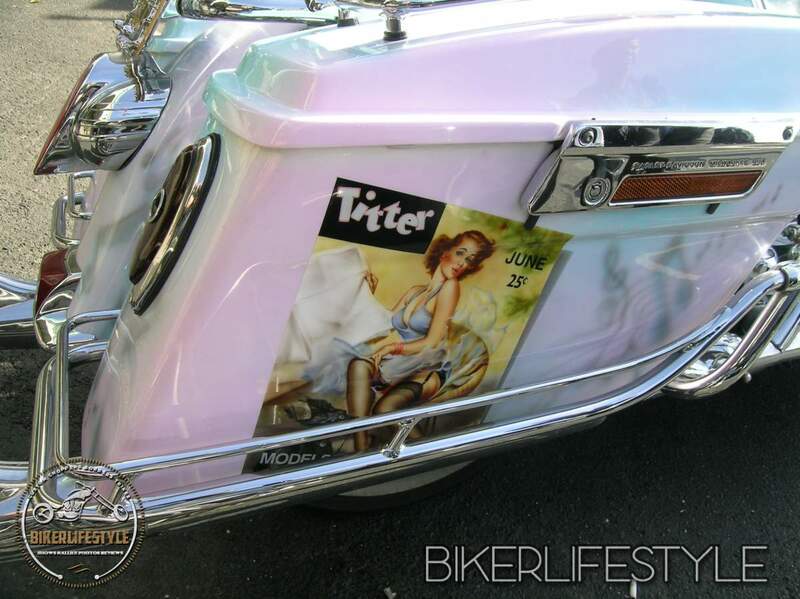 Used chrome filler strips between the boxes and the frames, but accented with chrome girls. 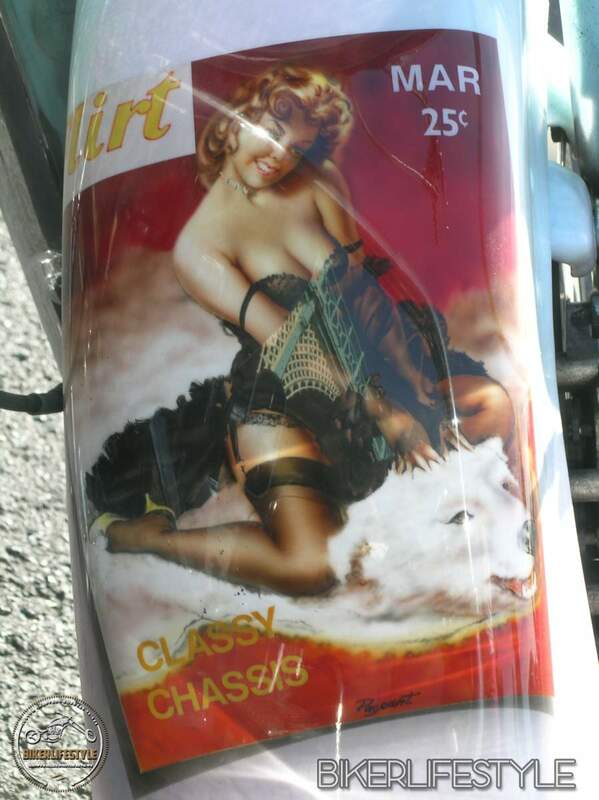 There are various chrome girls on the bike – sourced form Europe and the US and adapted to suit the theme of pinup. neon HT leads by Doctor Tech (usa) and rest by kuriakin. Usual hypercharger by Kuriknin. 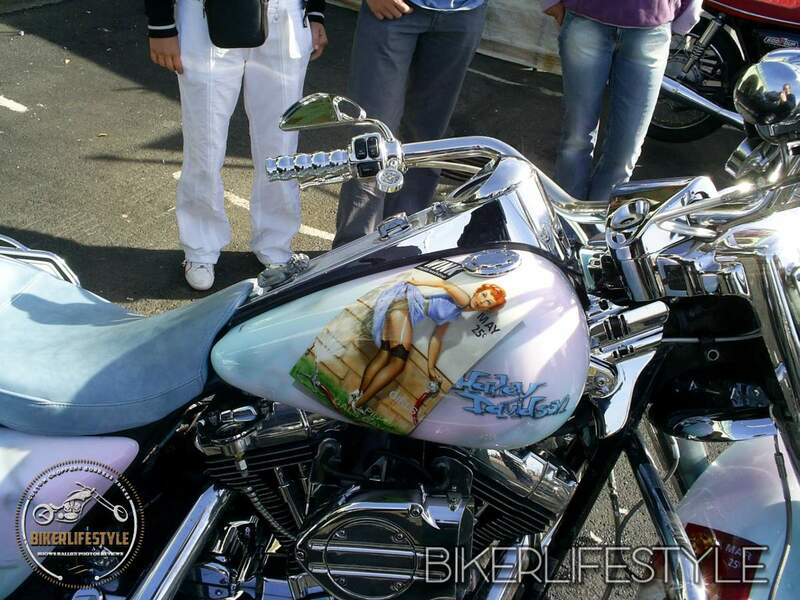 Bikes done 25k and ride it all year rain and shine. 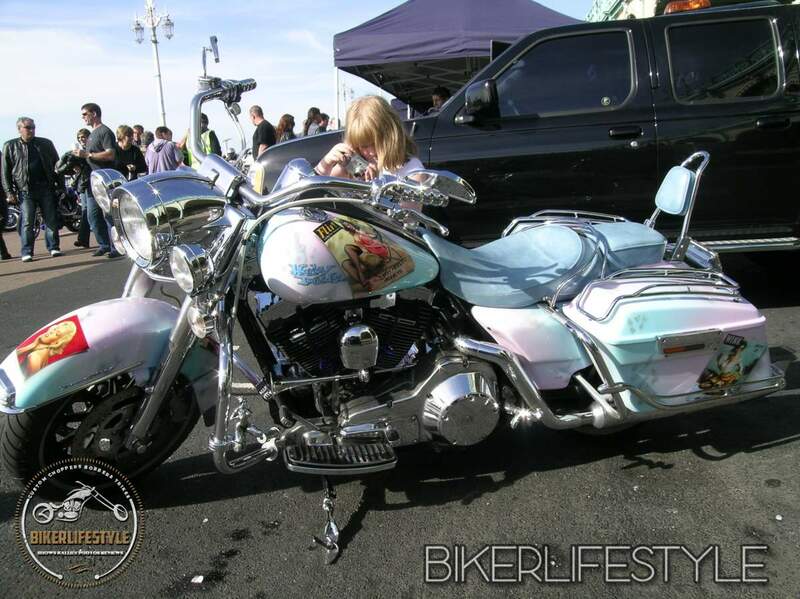 Its a bike to be ridden and enjoyed rather than locked up in a warm garage all the time. 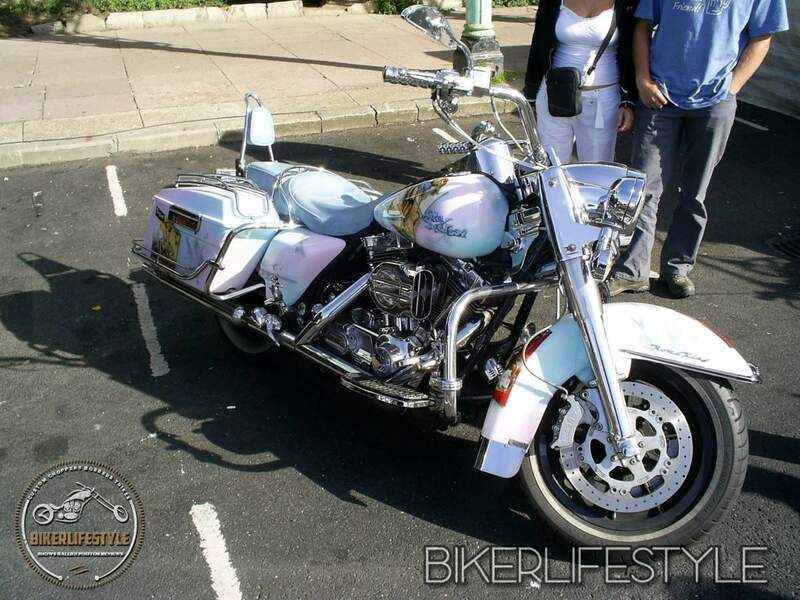 I am thinking of triking it though – with the same theme – but a lot more of it! 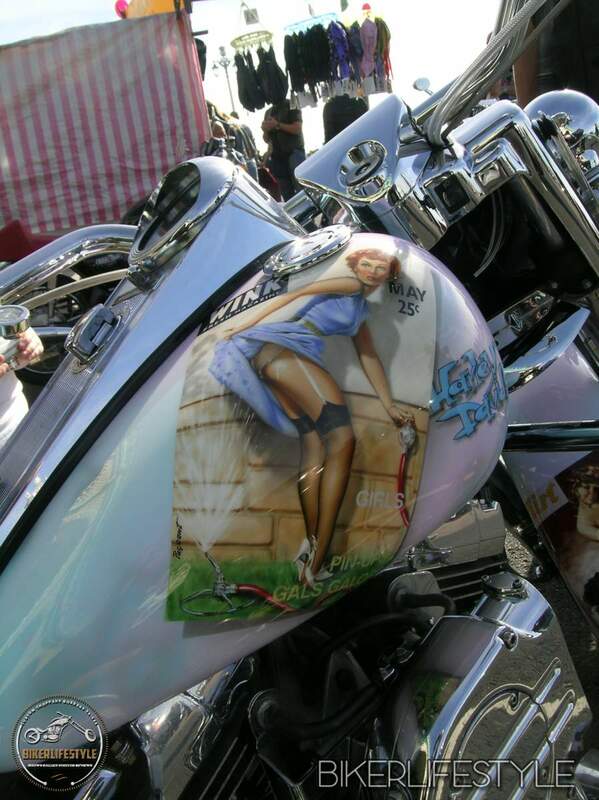 And me – well I’m a 50’s boy through n through.. and a psychotherapist… so what does that tell you? !